STL manufactures bimetal strips from a proprietary cold-cladding process. Configurations include Inlay, Edgelay and Throughlay. 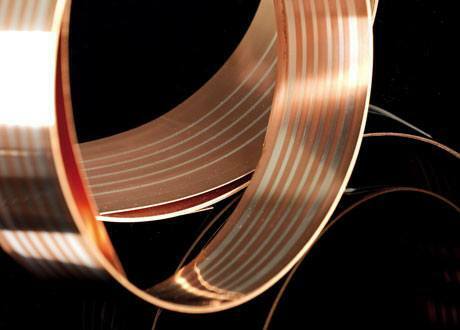 Base materials are Copper and Brass with options of Silver or Silver alloy stripes. Onlay is manufactured using a seam welding process, using Brass as the base metal. Our cold-clad process allows for very thin silver layers to be deposited with pinpoint precision minimising the amount of precious metal needed. Our unique throughlay process provides the fuse industry with an alternative product to solid silver with a significant reduction in direct costs. The use of seam welding is preferred in some applications, especially where lower volumes are involved. Hot bonding is generally used for micro-profile tape and other similar applications. These products can be supplied in large accurately dimensioned coils for our customers’ own stamping operation, or alternatively, we can manufacture the final component, delivering a quality, ready-to-use product at a reduced cost.